Victoria, Mahe (Seychelles) – July 25, 2017 (travelindex.com) – This last week was a sad week for Seychelles as we said goodbye to Louis D’Offay, the highly respected and much appreciated tourism personality of our island Nation. We take this opportunity to once again extend our heartfelt condolences to Louis’s children, Jean-Paul, Simon, Jean-Marc, Lucas and Caroline, as well as to the rest of the D’Offay family, all valued staff at L’Archipel Hotel, and to all the friends of Louis D’Offay for their sad loss. On Saturday 22nd July, Louis D’Offay was laid to rest on his island home, Praslin. A large congregation was present at the Baie Ste Anne Church of Praslin to pay homage to Louis, and I was honoured to be called upon to deliver the eulogy for my dear friend. Reactions from our fifth edition of our Tourism Report revealed a marked interest across the board concerning the exorbitant costs of building material on Praslin and La Digue Islands. Government fees and levies on barges and cargo boats are crippling the tourism industry on these islands. 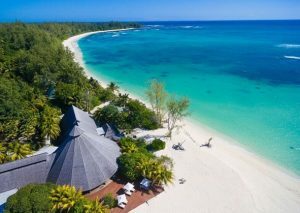 Many commenters highlighted the necessity of Government to appreciate the plight of Seychellois and the repercussions that their decisions would have on those looking to build homes or small establishments on these islands. It is our view that Praslinois and Diguois should not be punished for living and working on these islands. These islands are strong economic providers and stimulators for Seychelles, and their inhabitants should be helped, not hindered, in their respective ventures. The Alwyn Talma situation on Praslin also continues to generate significant public interest. This is one apparent injustice which many readers feel is unacceptable in this day and age. We will continue to monitor the unfolding of this saga closely. Another dilemma voiced by the private sector recently is the lack of support by Government for public transportation. All public transportation in Seychelles today, with the exception of the SPTC buses and air travel, is operated solely by the private sector. Ferries and taxis are used to transport tourists and locals alike from one destination to the next. Gone are the days when the iconic, Government-owned and operated ‘Lady Esme’ would shuttle you across the sea, rolling sluggishly through the waves, and prompt you to reach for your trusty vomit-bucket. The four-hour long trip to La Digue was gruelling for those without sea-legs, such as myself. Today the ferry services have been taken over by the private sector. Trips to and from La Digue, Praslin and Mahé Islands are more comfortable and take significantly less time than they used to. Public service buses, on the other hand, were once in the private sector and are today firmly and squarely in the hands of the Government. Taxi services are also solely operated by the private sector. The importance of taxis in Seychelles cannot be denied; with hundreds of thousands of tourists flooding our island Nation every year, the reliance on public means of transportation and taxi services to get from one destination to another is very high. With unlicensed taxis, or taxi pirate, on the rise in Seychelles, Government clearly needs to support the industry. At present, there are a number of incidents being reported to the police which implicate unlicensed taxis; one report has pertained to an unsuspecting victim being sexually assaulted in a taxi pirat after a night out in Victoria, and another involved an unlicensed taxi being used as the getaway car following a burglary from a guesthouse. The industry needs to be regulated for the benefit and safety of consumers. A centralised taxi service system ought to be implemented whereby passengers would call a central dispatch office for taxis and the nearest taxi would be directed to a waiting customer. Steps such as these will ensure the accessibility of licenced taxi services, thereby maximising the safety of locals and tourists alike, and minimising the likelihood of them being scammed by abstract and unregulated taxi fees. The State supports bus services today and we must accordingly have similar support for ferries and for taxis. Each rupee in Government charges (including fuel levy) incurred in the public transport service is inevitably passed on to the customer. It is time to have parity across the board in Government-controlled and private sector-controlled transportation services, in terms of subsidized charges. Seychelles can today boast that it is a leader in the field of the environment and sustainable development. Our environmentally-conscious youths have been pushing and lobbying Government to ban plastic bags in our small Island Nation for months. The youth is right to seek to protect the Seychelles that they will inherit tomorrow. Despite Government taking a firm stance on the issue and implementing the ban months ago, the National Assembly have raised the matter once again and opened the issue up for debate. Not only is questioning the Government’s decision on this matter a slap in the face for all those who lobbied hard to have their voices heard and to spearhead Seychelles into a cleaner and more sustainable future, but it reflects a step backwards and a significant danger to our Nation’s leadership role. It is hoped that Seychelles remains firm in its resolve to protect our fragile environment, and that it does not succumb to the pressure of the minority who seek to destabilize progress for the sake of convenience. We must respect the youth and the environmentally-conscious individuals who fought for this ban, and allow them to have a say in their own future. Last week we proudly announced the introduction of Mr. Ameer Ebrahim as our Environmental Consultant. This week we have the honour of announcing that Mr. Peter Sinon has also joined the Consultancy as the Development Consultant and Dr. Claire Holder of the UK has joined us as the expert for training seminars on the management of major events, festivals, carnivals, fairs, tourist attractions and the like to help them meet their objectives and achieve success. Peter A.G. SINON is a well-rounded, experienced professional economist with experience in Development, Diplomatic and Political work. He graduated from the School of Development Studies in the University of East Anglia in United Kingdom with a Bachelor of Arts in Development Studies (1987-1990) and a Masters degree in Development Economics. Mr. Sinon’s professional experience has landed him with enough experience to now venture into Development Consultancy. His career began as an economist within the Department of Economic Planning of the then Ministry of External Affairs, Environment and Economic Planning. He eventually rose to the position of Director of Economic Planning. Mr. Sinon later established the first Resident Embassy of Seychelles in South Africa and went on to assume the role of Executive Director for the Eastern Constituency of the African Development Bank Group. In 2010, Mr. Sinon was nominated by former President James Michel as the member of his Cabinet, assuming the portfolio responsibilities for Natural Resources, Industry and Investments, until his resignation in 2014. Mr. Sinon is currently an independent Development Consultant who is focused in ‘formulation and spearheading efforts to the realization of Development projects’. Dr. Claire HOLDER, OBE, is the woman behind today’s Notting Hill Carnival, Europe’s biggest street party. The Notting Hill Carnival Roadshow Company is a charitable organisation established in 2002 to promote the arts of the Notting Hill Carnival and provide assistance and expertise to other events. The organisation provides artists and performers for events, as well as organises and contributes to training seminars on the management of major events, festivals, carnivals, fairs, tourist attractions and the like to help them meet their objectives and achieve success. To this end, the organisation is able to provide well-qualified lecturers on a range of subjects related to the strategic management of events in which issues such as the impacts of professionalism, effective leadership, good governance and management are explored. The organisation is able to provide tailor-made packages on different aspects of organisational management to suit any organisational environment and will work with managers of organisations to assist in enhancing their skills. The organisation is headed by its Chief Executive, Dr. Claire Holder, who led and managed the Notting Hill Carnival for thirteen years. Her expertise is in designing systems for change management with emphasis on the need for professionalism and the importance of effective stakeholder management. The organisation’s Finance Director, Chris Nortey, also plays a lead role in seminars. He is a Chartered Management Accountant and retired Senior University Lecturer in Strategic Management and Financial Accounting. His expertise is in developing strategies and designing systems for the revitalisation and tong-term development of failing organisations across the various organisational sectors. Other areas of expertise that the organisation is able to contribute to seminars through its well-qualified partners are in public relations, press and marketing to enhance the profile of events and their organisation; the production of events, including choosing appropriate equipment to achieve the best impacts; and the management of events to ensure a smooth process and flow of activities. The small family-run Bel Air Hotel was launched at the dawn of Seychelles tourism in the 70s. Sadec and Ruth Rassool, the parents of the current owner of the property, Roland Rassool, were seen as being adventurous when they turned their family home at Bel Air overlooking Victoria into a small hotel. They attributed their Bel Air Hotel success to their homely atmosphere and good Seychellois Creole food. Today, Roland and Natasha Rassool have upgraded the small hotel, but the charm and delicious local cuisine remain a strong selling point for this establishment. The hotel boasts eight bedrooms and an ideal locality; it is one of the few hotels in Victoria and is mere walking distance from the heart of the city. We extend our warm congratulations to Roland and Natasha Rassool on their well-managed establishment and fully recommend Bel Air Hotel as a home away from home. Activities and natural attractions supported by the culture of the destination bolsters the island’s tourism industry. Yield from tourism is not just pricing more (and giving less). It is opening doors for visitors to enjoy and, in so doing, spend their holiday budget. The next challenge is for the country to see the earnings of the tourism industry, but this is a discussion for another time. Christopher Gill has opened one facility at his Iles Des Palmes Eco Resort on Praslin that needs to be seen by visitors as well as by Seychellois. Gill explains that pirates arrived to the Seychelles islands and greater Indian Ocean towards the end of the 17th century, and that they came from the Caribbean where royalist naval ships of England, Spain, France were making their trade more challenging. They initially based out of Madagascar, St. Marie island, and preyed on vessels approaching and leaving the Red Sea, and the Persian Gulf. Oliver Le Vasseur, famously known as “La Buse”, was born in Calle, France, in 1760. He was a famous pirate of the Indian Ocean laid to rest in the Mariners cemetery St. Paul, La Reunion. In 1721, he offended the government of France as a Corsair gone rogue, associating with English pirate Captain Taylor. Together, they attacked French and English ships alike. The first maps of Mahé demarcate Beau Vallon to Danzille area as “La Place De La Buse”. This area was a key treasure exploration site by Cruise Wilkins from 1958 onwards. When the warrant for Le Vasseur, known to be on Mahé, was issued, it is believed that he fled his lair to set sail. La Buse is known to have been on the run from 1729-1730, when he was eventually caught on St. Marie, Madagascar, alive. He was escorted to St. Denis, ILe De Bourbon, accused of high piracy. The sentence was to be hanging in town on the gallows. Olivier Le Vasseur’s body was carted from St. Denis to St. Paul, and laid to rest at the Mariners cemetery where he still rests today, along with his secrets. There are three known pirate ovens in Seychelles, one being the Silhouette oven, belonging to Jean Francois Hodoul (privateer). The other pirate oven is at Anse Forban, belonging to Corsaire Nageon. This third oven, its owner unknown, is speculated to have belonged to La Buse, who built it while on the run, hiding from the French Navy. A Hawthorne Dew Thom and Cameron Tappit jug (whiskey flask from Scotland) were found on the property near the pirate oven. These were common in mid-17th century and 18th century. The term “Tappit” refers to the spout above the flask, similar to a bar tap. These items, among others, such as a musket trigger with hand engraved Fleur de Lys and hearts, can be found in the display room On the same property also lies a calorifer, distillery and patouli house, all national heritage sites. This property remains the only coastal plantation on Praslin, its structures the most intact and undestroyed. The Pirate Oven remains the most significant archaeological discovery made in the last 25 years that links us to the Pirate era. The Praslin property remains an archaeological treasure trove, with numerous sites still undergoing investigation, such as the Pirates’ cemetery towards Anse Badamier and Colin Medar treasure site, by Dr. Wilkins and his team. Tourism remains the dominant economic sector in Seychelles. Iles Des Palmes Eco Resort has attempted to preserve these heritage sites so that Seychelles does not lose this chapter of our island Nation’s history. Christopher Gill says he hopes Seychellois and visitors can appreciate these historical artefacts to enrich their lives upon visiting the national heritage trail. The Island Experience. Why go to a resort when you could escape to an island? Denis Island, a tiny speck in the Indian Ocean ringed by flawless white sand, just 375 acres and none of it off-limits to see and explore. Denis Island is a living, breathing island community, for those who believe giving back to nature is the only way to receive its bounty in return. It is a place where you can sunbathe along beaches renowned the world over for their pristine beauty, snorkel in a sea turtle sanctuary, spot some of the rarest birds on earth, and go sport-fishing at the edge of a continental ocean drop-off…and all of that in a single day. You will not find a signal for your mobile phone when you arrive. There is no in-room internet, nor any cable television in your air-conditioned and extremely comfortable bedroom. This is for you to unplug from digital distraction and reconnect to the loved ones you hold dear, and to the earth that you share with them. On Denis, you will rediscover a forgotten mode of luxury: one of real food and real people, immersed in nature on one of the most secluded islands in the world. Seychelles has been named the Top Island Destination in Africa and the Middle East in the Travel + Leisure’s 2017 World’s Best Awards. It is the second year in a row that Seychelles is rated in the top spot in this category by Travel + Leisure. Results of the 22nd travel + leisure’s world’s best awards were revealed on Tuesday 11th July. This is based on an annual survey, which allows readers of the New York based travel magazine to rate their travel experiences around the globe. Readers get to share their opinions on top hotels, islands, cities, airlines, cruise lines, spas, among others. The best islands by region are rated on a number of characteristics including their natural attractions, beaches, activities and sights, restaurants, food, people and friendliness, as well as value. Their romantic appeal also features as an optional criterion. For each characteristic, respondents are asked to give a rating based on a five-point scale of excellence. Mr. Germain noted that that the Seychelles Tourism Board continues to build a solid trade relations platform with the USA and Canadian outbound tour operators, travel agents and other trade partners in North America. He said that winning the award for a second consecutive year is evidence that the STB’s marketing strategy in North America is working. “The Award helps to garner recognition, and provides a significant amount of visibility for our islands in North America and the region. The STB will continue to share and present the culture and tourism attributes of Seychelles to both the trade and consumers in the various North American cities, with the aim of increasing tourist’s arrival to Seychelles from this part of the world,” said Mr. Germain. Visitor arrivals from the Americas to the Seychelles has increased by 69 percent from January to June. Mr. Germain will be receiving the award for Seychelles at a ceremony which will bring all winners together in New York City on July 26. The award ceremony will be hosted by the Editor in Chief of Travel + Leisure, Nathan Lump. “It’s not easy to satisfy this group, but the destinations, hotels and companies that are doing it know that today’s traveller cares about a lot more than creature comforts,” he added.